The Best Star Powers To Upgrade in Brawl Stars | Brawl Stars UP! 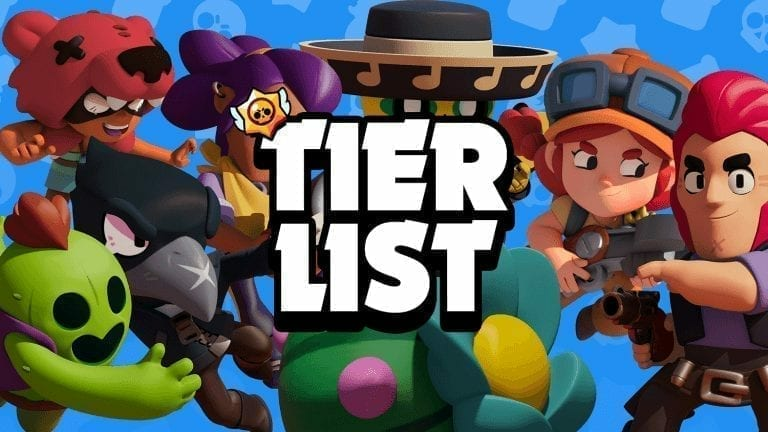 Today we’re gonna go over every single Star Power in Brawl Stars and rank them to a tier list, to see which ones are the best, which ones are the worst and which ones you want to upgrade first. This is gonna be one of your best resources to turn to when it comes to actually decide which brawler need to be upgraded first to level 10. So, how were these tiers selected for each of these brawlers Star Powers? There are 3 major things to consider! The first thing was how frequently the Star Power actually going to be used. How much does that Star Power actually impact battle. Whether or not getting that Star Power actually changes the way you use that specific brawler. These Star Powers are the ones that are typically either used very frequently, have a very big impact on the game or they’re really game-changing in the way that you can actually have more strategies by using them. They are recommended to be upgraded to level 10 as soon as possible. When he has a Star Power, he gains additional movement speed permanently and this makes him almost as fast as Leon and Mortis. This is active at 100% of the time. It allows him to lead shots better, it allows him to cover ground better, to dodge shots better, to poke better and also makes it easier for him to run away better. It just makes Colt better. When she has the Star Power, she can actually use her attack to heal the turret up to 800 HP per attack. Not only does this heal the turret but it will also bounce off towards the closest enemy brawler which means that this effectively adds to the range of Jessie’s attack. If you use it in such way, one of the best things that you can do is to throw the turret up almost at max range of Jessie and then quickly throw three quick attacks if you know they’re going to attack your turret. By the end of it, they’ll have wasted plenty of shots and not taken out the turret. There’s also a good chance that your attacks will actually have dealt damage to the enemy. This can be all it takes for you to completely turn around a match. It is also a very game-changing and strong Star Power. When Dynamike has his Star Power, if he is close enough to his attack or his super then he will jump. This is probably the most fun Star Power in the game. It can be hilarious and also adds a great strategy to the game. This does not only allow Dynamike to be able to jump over walls but also makes him invincible. It means that nobody can actually deal damage to him until he lands again. It also based off of the players’ skill that this will actually make his Star Power range anywhere from being the worst our power in the game to the best Star Power in the game. His Star Power gives him and his teammates the ability to see the extra range in bushes. Bo is one of the hardest brawlers to push in the game until you got Star Power. This Star Power is a must-have if you really want to push it very on. It is recommended to get a Star Power very early because on those maps with a lot of grass and bow, his Star Power is incredibly strong. When Pam has her Star Power, she heals herself and teammates 30 HP for every single little cog that hits the enemy brawlers. 30 HP sounds like nothing but if all nine of her cogs hit an enemy ball that’s a total of 270 HP healed to Pam and to every other teammate in the circle. A little HP could make a huge difference for Pam and her teammates. When he has Star Power, he can pick up the soul of his defeated enemy and heals up 1800 HP. There are two reasons why this is definitely an S tier Star Power. The first is that enemy brawlers cannot see where the soul is so you can use that as an advantage when coming close to them and then heal up without them even being able to plan for it. The second reason is that there can be up to 10 souls on the map at any given time, which could make him have a reservoir of more than 10,000 HP available. The more taking out brawlers, the more HP for him. Update: In the latest balance update, Mortis now instantly heals 1800 HP when defeats an enemy, and it is still a great advantage for him. Spike’s Star Power gives him the ability to heal 500 HP per second if he is standing within the range of his Super. His Super lasts 5 seconds long which means that he can heal up to 2500 HP through this duration. That is a 74% health buff for him, which is absolutely insane. Although Spike does not use his super on himself all the time, this does give him additional health to be able to handle those brawlers that Spike would struggle a little bit with his close-range and low HP. This can also be used when Spike is in the very last second and needs a little bit more HP to run away. This Star Power truly adds a lot of versatility to Spike’s mechanics and is definitely an S tier ranking one. Leon’s Star Power makes him has a boosted movement speed when he is invisible. In the game alone, he already has one of the fastest movement speeds and by adding that additional movement speed, it makes him even stronger. With this power, he can escape and travel huge distances when he needs to, sneak up ridiculously quickly on enemy brawler so that he’s right next to them to be able to deal max damage before they even knew. That is definitely an S tier Star Power. These Star Powers are recommended to get after you get all of your S tier Star Powers but if there is one of these brawlers that you really want to get to level 10 or like playing with for some reason then it’s not a big deal. When she has her Star Power, her super will help slow enemies down for 2.5 seconds which is pretty good. It definitely can be game-changing in the right situations if she deals more damage from a distance or if she was able to use her super more frequently. That extra slow is really beneficial for Shelly when she wants to close the gap between her and enemy brawler. Sometimes that’s all differences it takes to make or break an actual outcome of the battle with her. Barley regains 200 HP with every single attack with Star Power that he throws out. This definitely helps keep Barley on the map for a long period of time. One to two attacks don’t make a big difference but having it on every single attack makes a huge advantage to him. If Barley had more health, this Star Power would actually benefit him even more. With Star Power, each bullet deals an additional 80 damage if they hit a target after bouncing off of a wall first. With 5 bullets this increases the total damage by 400 damage per attack, which is a 20% damage increase and that’s an additional 960 damage with his super. This can definitely benefit if you are skilled enough. It can be somewhat game-changing but most the time you should actually use Ricochet shots bouncing them off of the walls because of the additional range that he gets from it so I wouldn’t consider it as a super game-changing. Darryl gains a shield for 3.5 seconds after using his super with Star Power which reduces damage taken by 30%. This can be very helpful for Darryl especially because he is a close-range brawler. It’s not a super game-changing but with 3.5 seconds lasting, it can be used very frequently and if the damage decrease were even higher, he would definitely be considered moving into S tier ranking. When Piper has her Star Power and hiding in a bush, her attacks dealt has an additional 400 extra damage at max range. This increases Piper’s burst damage by 17% which means that she goes from being able to 2 shots 12 of the 21 brawlers outside of a bush to 2 shooting 5 more brawlers when she’s hiding in a bush. This can make a very big difference. It will also teach you to actually play Piper in the bushes more frequently which is one of the best ways to play her. When he has his Star Power, he is able to see the souls of defeated enemies. If he picks up one of those souls, it increases his damage output by 30% for 10 seconds. That’s an additional 500 for damage per attack when he is in range, which is an additional 1500 damage with three attacks. That 10 second does last at a very long time but it does not cover Frank’s weakness of having the actual shot delay. When he has his Star Power, enemies that are poisoned will actually deal 10% less damage. This changes many 1v1 interactions with Crow. This means almost all of the brawlers require at least one more additional hit to take Crow out. This Star Power feels very weak when you are playing just 1v1 or something like that, but during an entire match in a 3v3 game, the difference of damage output is actually pretty large. This is absolutely a great Star Power for you to have. 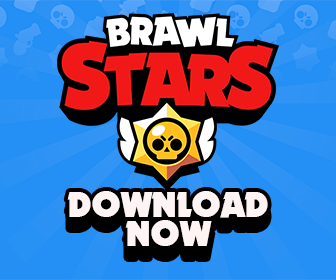 Purchasing the Star Powers for these brawlers right off is not recommended until all of your other brawlers are at level 10 or unless there’s a specific brawler that you really enjoy playing and want to push that brawler as high as you possibly can. There are definitely many other brawlers that you should focus on getting to max level before these brawlers. Nita’s Star Power is that she recovers 300 HP when her bear deals damage and her bear heals 300 HP when she deals damage. This Star Power is rarely useful in matches when skilled players won’t take much damage by the bear and they although also can take down her bear really quickly, so Nita can’t actually have the opportunity to heal up the bear. Bull’s Star Power is that his reload speed doubles whenever he falls below 40% health. But you should not purposefully stay at below 40% health to use this. A smart Bull will already have enough shots reloaded that this won’t actually be very necessary. Bull has burst damage so he can take out a brawler with 2 or maybe even 3 shots, and you don’t need it to unload frequently. There are a couple of exceptions where this Star Power can be really nice but this definitely is not game-changing enough to get Bull at a higher place than the B tier. Brock Star Power gives an explosion from his rockets and leaves a flame on the ground for three seconds at each deal 240 damage per second and with total damage of 720. This is effective when you want to know if somebody’s in the grass or to keep people from pushing forward but the damage dealt is so low that players can easily ignore it. El Primo deals 600 damage over 4 seconds with his Super brawler’s hit. If El Primo is going to land on you, you’re likely going to be dead before the 600 damage is really impactful. It can be cool when somebody dies by that flame effect but it doesn’t happen very often. When Poco attacks his teammates, he will heal them for 400 HP. This can be a great Star Power but it does have some very big flaws. You actually have wasted an ammo slot in order to heal up a teammate which means that you can then not attack the enemy brawler. Besides that, 400 HP rarely makes a big difference in the matches at high trophy. There could be chances when that power does make a big difference and be able to help you save a teammate but it doesn’t happen frequently enough to move Poco into the A tier. When she has her Star Power, she can deploy a cannon which shoots out several bombs that each deal 1680 damage. Most of the time it won’t actually hit any brawler, because a skilled player will just walk away and they’ll know how to avoid it very easily. Sometimes it will hit a brawler and there’s a rare chance that it can land two shots on an enemy brawler, which can be pretty devastating but it cannot happens that easily. Tara can use her Star Power to throw out a shadow spawns with very fast movements. It also has very low HP, does very little damage and faster than most brawlers. This Star Power mostly is just a little bit annoying to other brawlers, it doesn’t do very much damage and doesn’t even charge up Tara’s super again. So if you can’t afford the HP you can just hold it and ignore it for a little bit. It’s annoying mostly to brawlers with low burst damage like Barley and also those brawlers that have low HP but the biggest use for it is to just waste a couple of others’ attacks. You can also use it as kind of a quick body block but most of the time if players can just ignore it, it’s not a big deal. That’s every Star Power you need to know about. I hope that you enjoyed it. If you have any other suggestions, drop them in the comment section below and make sure you subscribe to the website so that you cannot miss any future content. Thank you so much for reading.